I’m taking an 8 day course (7 days of class with the last day being the final) in Real Estate. My brain is so done that I don’t even feel functional tonight. I was planning on reading 2-4 chapters of my textbook tonight, but I just can’t. I can’t absorb any more information today! Tags: Real Estate, school, studying | Permalink. It’s been so very long since I’ve had to study anything, so this has been a bit challenging for my brain! In the middle of December I was interviewed twice for a position as the receptionist at a real estate company. The interviews went so well, and I was fairly certain they were going to pick me. Long story short, I lost out to a girl who had experience as a receptionist at a real estate company (and how am I supposed to beat that?) I was crushed, mainly because before I had been so confident! Fate must have wanted me to work in a real estate office, because I saw that a local realtor needed an assistant. I sent her my resume and got an interview. The interview went well, but I felt off my game and I didn’t feel like I gave my best first impression. I was pretty sure that I wasn’t going to get hired…and then I did! I started my new job in January and I’ve been working there ever since. I’m pleased to announce that I am heartily enjoying my job. My boss is so busy that she actually wants me to get my real estate license so that I can work more and do more things to help her. I’m signed up to start my classes in the next few weeks and I am so excited. 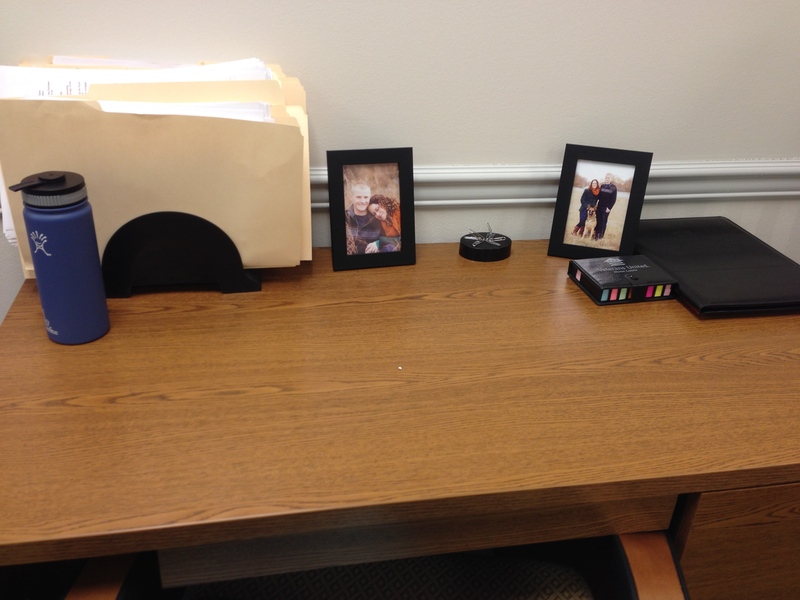 At work I have my own desk, and I put some pictures on it to really make it feel like my space. 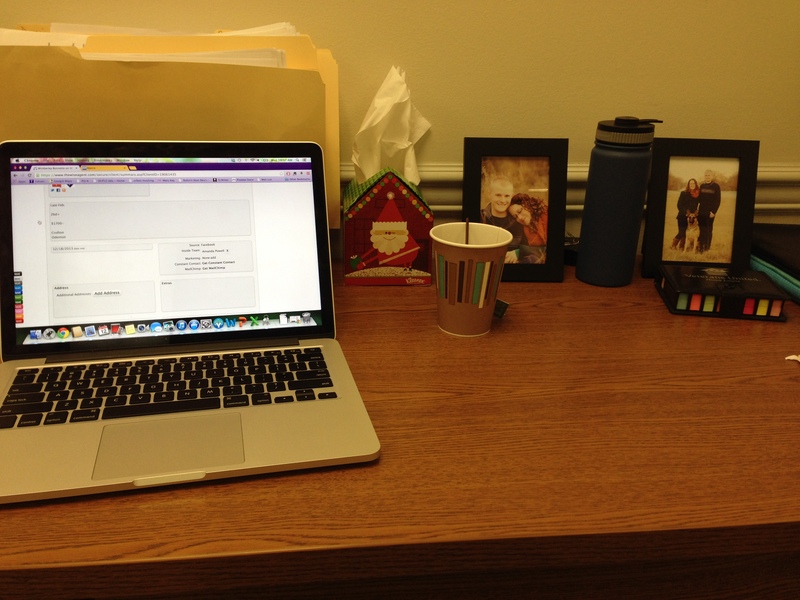 I feel pretty cool having my own desk! Tags: Desk, New Job, Real Estate, Work | Permalink.